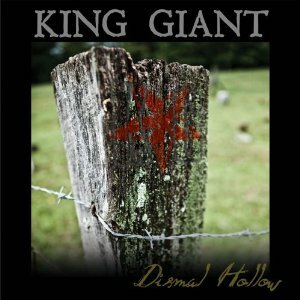 Hall of the Mountain King: Review: King Giant, "Dismal Hollow"
I’m a sucker for a good Southern-flavored groove. It’s where I come from. I heard just as much Waylon Jennings, Hank Jr. and Lynyrd Skynyrd as Iron Maiden and Judas Priest growing up, and though I abandoned my Southern roots in music for a while in my teens and early 20s, I’ve grown to appreciate them again. That’s what initially drew me to King Giant’s debut Southern Darkness. It blended so many things that I like – the sludginess of bands like Crowbar and Down, the Black Sabbath base template for all metal , and a Southern rock attitude. I loved it, and, if anything, the grooves are bigger on their follow-up Dismal Hollow. It opens with first single “Appomattox,” which, as you might guess, is based on the Civil War battle. In this song alone, we’ve got great grooves, wailing guitar solos and some big, doomy riffs thrown in for good measure. It gets things off to a good start. We go a little more Southern-fried on the opening of “Tale of Mathias,” which is less metal and more rock ‘n’ roll. It also throws some attitude-laden female harmonies into the mix on the chorus to spice things up. It’s a nice addition to Dave Hammerly’s gruff vocals, which are fitting, but a little one-dimensional on this record. “A Steward’s Prayer” is a little more droning and more toward the doom/stoner side of the band. The big guitar riffs from rhythm player David Kowalski, who is one of the strengths of the band, have plenty of attitude and power. Todd Ingram’s solo accentuates the Southern flavor that’s apparent throughout. The boogie number that I’ve been waiting for shows up with “6 O’Clock Swill,” which features an infectious, strutting main riff. 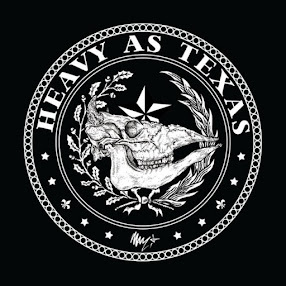 Hammerly’s vocals keep it grounded in the sludgy sound of the band, but it does make me wonder – much like favorite “Mississippi River” from Southern Darkness – what the band would be capable of if they ever just let it rip on a full-on Southern boogie. The instrumental “Road to Eulesis” mellows things out a little bit with some dark, bluesy and occasionally trippy guitar work from Ingram that’s really nice – perhaps some of the best stuff from either King Giant record. It eventually gives way to a more metallic sound about halfway through, but despite ramping up a little, the leads maintain that same feel and tone. I’m not always a fan of instrumentals, but when they’re done this well, who can argue? The songs on Dismal Hollow are often slightly longer and go through more movements than those on Southern Darkness. Sometimes that works, sometimes not. “O’ Drifter” takes the listener on a journey well worth taking with sludgy riffs, a gallop here and there, and one of the more interesting passages on the album about two-thirds of the way through that seems to mix a traditional metal lick with a Southern rock. I also love that tough clean riff that kicks in about five minutes in. On the other hand, I feel like the best parts of “Pistols and Penance” are bracketed by less interesting passages. But that’s about the only quibble I can find with this record. There’s no sophomore slump on Dismal Hollow. The King lives on.